When you are getting ready to move into a new apartment, consider the advantages of renting a storage unit. By reserving a storage unit in Palo Alto , you will be able to downsize your belongings, while still keeping them for later use. 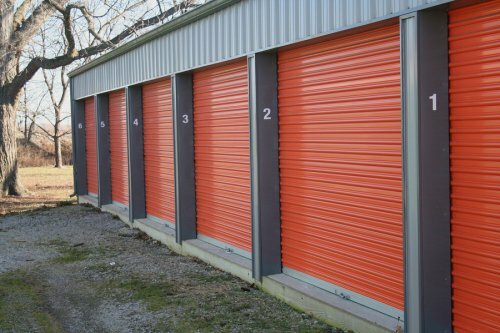 Ultimately, a storage unit rental may be much more cost-effective than renting a larger apartment or home. If you are concerned about the high price of housing, downsizing into a smaller place and renting a storage unit may help you to cut back on your monthly rental payments. A facility that rents storage units in your local area can provide you with the space that you need to store your items after you move into a smaller apartment. Whether you are seeking temporary storage during your move, or you need a long-term solution, you can expect your storage unit facility to provide you with a range of rental options. In today’s digital world, more and more entrepreneurs are choosing to start businesses that are based out of the home. Online commerce sties, such as Etsy, make it easy to promote and sell your homemade goods. By renting a storage unit in Palo Alto , you will be able to expand your inventory and preserve the items that you have listed for sale. If you are looking for a great way to increase your sales, consider a booking storage rental at a conventionally located self storage facility in your area. 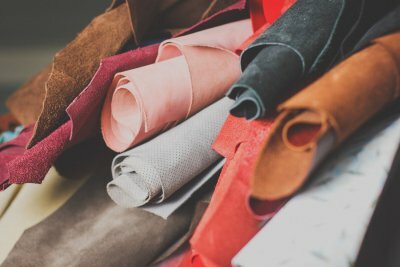 Here is an overview of how self-storage can help Etsy sellers grow their businesses. As your Etsy business grows more and more popular, you may find that you start to have keeping up with demand. Rather than crowding your home or garage with your excess inventory, you can keep all of your products in a storage unit rental. Depending on the size of your rental, you will have no problem storing enough stock to keep your Etsy shop supplied for many months. The increased storage space that is offered at a storage rental facility will also help you to keep your business more organized. 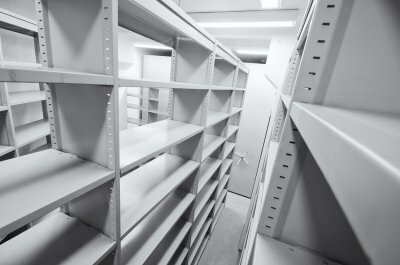 When you are attempting to store inventory, invoices, and other business items at home, it may be difficult to remain organized in a smaller space. When you first move into your storage unit, create an organization system that works for you. When you run a business from home, you will be juggling work and family life in the same space. Rather than crowding your home with boxes or piles of merchandise, you can clear out your living areas by renting a storage unit. Keeping your items in a storage renal unit will help you to prevent overcrowding your house with your extra inventory. Your family members are sure to be thankful once your extra items have been moved into storage. What Should I Do with a Deceased Family Member’s Belongings? The death of a loved one can be a very painful time for any family member. After your family member passes away, you may also be faced with the difficult task of sorting through his or her belongings. By renting a storage unit in Mountain View , you can safely contain your deceased family member’s belongings until you are emotionally ready to start the sorting process. A self storage company can offer you temporary storage during your time of grief. Read on for an overview of some strategies for going through a deceased family member’s belongings. When you are going through your loved one’s personal belongings, you are sure to find many items that you want to keep. Some of these items may be valuable objects, while others may be small keepsakes that remind you of cherished memories. Allowing yourself to hang on to important items may provide you with a sense of comfort and condolence as you are processing difficult emotions. While some of your loved one’s belongings may be emotionally or financially valuable, others may not be important enough to save. It is important to allow yourself to let go of certain items that are no longer useful or valuable. Before you decide to toss out an item, you can give your other family members a chance to decide whether or not they would like to keep it. From making funeral preparations to mourning your loved one’s passing, the time after a family member’s death can be both emotionally and physically draining. A storage unit rental will provide you with the space that you need to hold on to all of your loved one’s stuff until you are ready to start the sorting process. You can rest assured that all of the belongings will be safe and protected once they have entered the storage unit. If you are moving your belongings into a storage unit near Mountain View, you should take the time to pack your items correctly. This video from Chasing the Look will provide you with some quick packing tips to keep in mind during your move into a storage unit. As you are packing your boxes, you can label your boxes with painter’s tape for easy identification. Old towels and clothing can be used to protect delicate items when they are placed in boxes. For more essential packing tips , contact a company that offers self storage in your local area. The professionals who work at a storage facility will be happy to provide you with more information about the best ways to pack up your stuff in preparation for a move. Decluttering your home may seem like an impossible endeavor at times, but it can be easily done when broken down into manageable parts. If you declutter one room or space at a time, then you will soon find your home is cleaner and more spacious than you thought possible. Take advantage of different storage options in Mountain View —such as a storage unit or storage shed rental—to help you declutter your home room by room. Here is a quick guide to help you declutter your home. Your bathrooms are one of the most important areas of your home to declutter, because you can save a great amount of time during the morning and evening. It is important to regularly update your medications, skin care products, and toiletries. Decluttering these items can significantly reduce the clutter and free up space in your bathrooms. 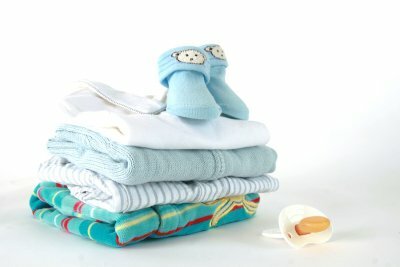 Your closets naturally become a place for extra storage, such as clothing, shoes, toys, bedding, and rarely-used items. 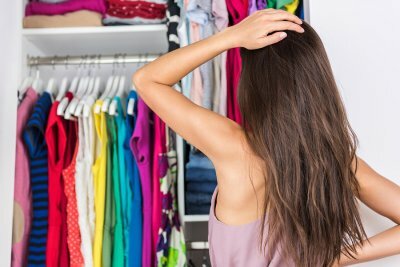 Closets are an important area to declutter, because you often find clothing that no longer fits, has become damaged, or was forgotten about. You can also separate and store seasonal clothing in your storage unit to create more space. Your office can quickly become a dumping ground for old files, mail, and random pieces of paper clutter. Decluttering the office might take a little more time than other areas of your home, because you will want to inspect each piece of paper before recycling or shredding it. Once you clear off your desks, place filing boxes in your storage unit, and declutter your working space, however, then you have more freedom to finish your projects. You may find yourself storing tools, recreational items, and large appliances in your garage. These items can quickly overtake your garage space and prevent you from parking your vehicles. Choose other storage options, such as a storage shed rental, to store these tools and appliances until you need them. There are several items that you can move to a Palo Alto storage unit to free up space in your home . These items—such as seasonal decorations, heirloom furniture, and old tax files—take up much more space than you realize. By putting these items into a storage unit, you can devote this extra space to more important items. Read on to learn which items can be placed into storage to free up space. 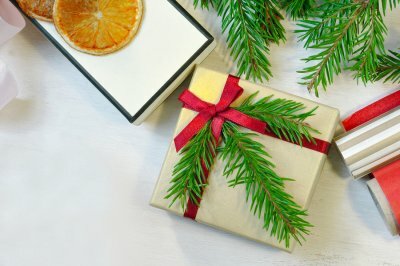 You probably have several items that you only use for a couple months out of the year, and they take up much-needed space for the majority of year. Your seasonal items can be placed into a storage unit to free up space and prevent unnecessary damages. Seasonal items will include gardening tools, such as a lawnmower and shovels. Other seasonal storage items may include pool toys, holiday decorations, and winter and summer clothing. If you have valuable pieces of artwork, home décor, or heirlooms, then self-storage is the perfect option to keep these items safe and free up space in your home. Professional storage units are often more secure and free of common household hazards, such as flooding and pests. You will also have various storage options to choose from through a storage facility. 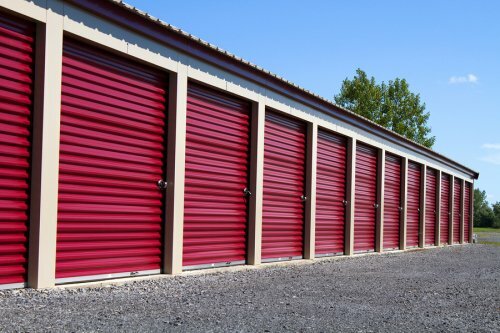 Self-storage rental companies typically offer different-sized units, drive-up units, and climate-controlled units to provide you with the best options available. Storage units will also be protected by an on-site manager and individual access through a personal keycode. Tax records, medical files, and insurance information can take up a lot of room in your office space and filing cabinets. You can free up this space by decluttering all of your paperwork and placing the necessary files into filing boxes that will be held in a storage unit. These important files will be better protected against flooding and fire damage, and you will have much more space in your office to work on other important projects. It is important to maximize all of your storage options in Palo Alto. You can store large furniture, artwork, and moving boxes in your storage unit. However, you can also utilize certain storage options around your home. Continue reading to learn some easy storage options around your house. As seen in this “Clean My Space” video, you can use stacking shelves in your kitchen and bathroom cabinets to maximize all of your storage space in these areas. You can also hang up adhesive hooks in your utility spaces and around the house to store common household tools, such as a broom and step stool. Consider hanging shoe storage options to hold extra shoes, jewelry, and clothing accessories as well. 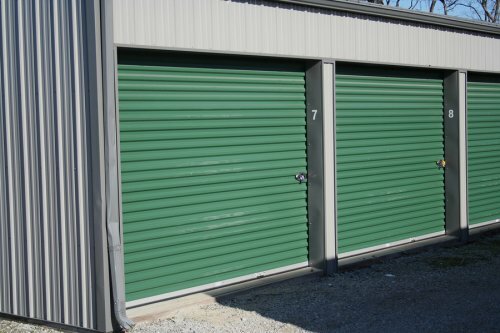 If you need a professional and secure self-storage unit, then there are certain features to look for in your Mountain View storage rental company . Tight security measures and customizability are incredibly important to the safety of your items and their housing. When you choose a storage location and storage units with excellent security features and expansive units, then you can feel more secure in your chose of storage rental company. Continue reading to learn the important features needed in a self-storage facility. Security is one of the most important features to look for in your self-storage facility. You must feel confident that you can store your treasured heirlooms and belongings in a secure location. The most secure self-storage facilities will have on-site managers to monitor all of the units and the property. Facilities should also keep the property protected with gates and individual electronic key pads. These security measures will ensure that only you can access your items, and you can feel safe and confident in your self-storage facility. Stored items have a way of expanding, especially as you continue through your life and gather more mementos and personal items. You need a storage unit that can accommodate your growing amount of storage. Quality storage facilities and storage rental companies will rent out a variety of storage sizes to suit your needs. These units should have high ceilings to give you the maximum amount of space in whichever unit size you choose. A great self-storage facility will give you many options in storage units and billing. There are many different ways to pay, such as weekly, monthly, and annually. In addition to versatile payment options, you can work with your storage manager to find the right price for you. 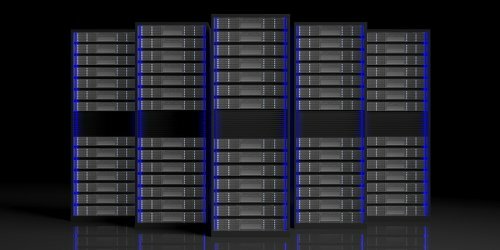 A storage rental company should be dedicated to giving you as many billing and storage options available. Look for the facility that places a priority on your comfort and peace of mind. Senior parents and grandparents will reach a time when their house is too big, and they need a smaller apartment or condo. Your senior loved one may have many belongings that need to be organized and stored. You can help by offering different storage options in Palo Alto, such as self-storage . Let’s look at the simple steps to help your senior loved one move to a smaller home. Organizing your loved one’s belongings is a great first step, but true downsizing involves decluttering the house of nonessential items. Your senior loved one may be hesitant to part with many of his or her belongings, because they hold sentimental or monetary value. Ensure that your loved one is comfortable and feels involved in the downsizing process. There are many ways to help your loved one cope with the loss of personal items. Help him or her understand that most items will not fit in a smaller house and many personal belongings can be stored in a storage unit. Once you and your loved one have sorted through the belongings, then it is time to trash, sell, move, and store them. If your loved one is having a hard time parting with certain belongings, then offer professional storage options to keep the items secure. 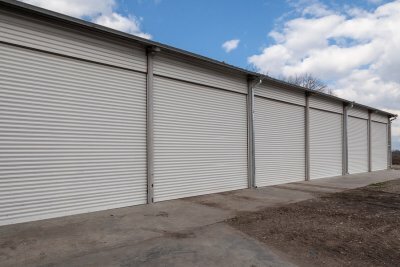 Storage rental companies offer great security measures to keep storage units protected, and they often offer customizable billing. These are helpful attributes that can keep your loved one secure and involved in the process of moving to a smaller home. People decide to downsize for all kinds of reasons. 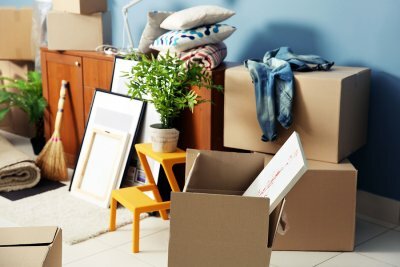 Whether you are moving to a smaller living space or you’re simply taking a more minimalist approach to your home design, you should know how to downsize without stressing yourself out. In order to do this, you’ll need to come up with a game plan well before you decide to get started, and you should come equipped with the right packing materials. It’s always wise to use a storage unit in Mountain View , as this can instantly free up space around your house. Keep reading for a crash course in stress-free downsizing. No matter why you’re downsizing, it’s best to get started on the planning process early on. When you leave yourself time beforehand, you can get a game plan together and take steps to stick to it throughout the process. Planning your moves out in advance can work wonders when it comes to taking the stress out of downsizing. You won’t be rushing to meet a moving deadline or scramble to use your storage unit before you have to renew it. The longer you give yourself to prepare for your downsizing project, the less stress will be involved. Packing is an integral part of downsizing in many cases, and yet plenty of people still do it the wrong way. 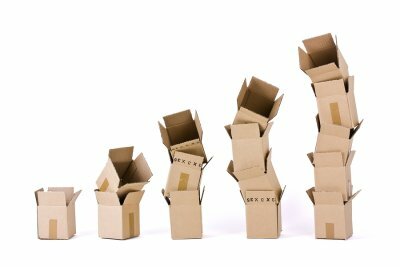 Instead of taking used boxes from your local grocery store, buy boxes that were actually designed for packing. These boxes will do a better job of keeping your belongings safe while downsizing. You should also label all of the boxes that you pack so you can easily tell what is inside each of them. If you are downsizing because you want to clear up some space in your house, consider a storage unit. A storage unit can be a great thing to have when you want to make the most of your living space but you don’t want to get rid of all of your belongings. The right storage unit can make downsizing easy as well as stress-free.